Docrates Cancer Center and Cancer Expert Now, a U.S.-based network of leading cancer treatment experts, have agreed to cooperate. As a result of the co-operation patients may seek help from a Docrates specialist, and the specialist will consult a top international expert regarding the patient’s care. The partnership provides Docrates Cancer Center unlimited access to Noetic™, an online, rapid, text-centric messaging platform, and Noetic Live™ an virtual face-to-face communication platform. Both platforms connect the oncologists at Docrates to a network of more than 70 leading oncologists from prestigious institutions across the United States. This cooperation enables the rapid arrangement of a consultation with a cancer expert in the patient’s own mother tongue, without traveling. If necessary, additional investigations and the treatment can also be arranged at Docrates. The collaboration also means that the CEN network of experts can guide patients from other countries to Docrates for investigations or treatment, when traveling to the United States is not appropriate. Some of the doctors at Docrates are also associated with the network within their own area of expertise. The Cancer Expert Now Noetic service is a proprietary and secure platform that allows Docrates and Cancer Expert Now physicians to exchange messages, files, images and other information. As cancer care becomes more and more specialized, patient needs remain as they always have. These needs include the need for patients’ medical examinations and treatment without delay, the need for continuity of care, the need for individually planned treatment and empathy during care, and the need for strong experience in implementation of cancer treatments and side effect management. Frequently physicians and patients can choose between several treatment alternatives, and in the treatment of advanced cancer there are situations where the treatments have been unsuccessful in stemming the advance of cancer. In these situations, where the patient is in good condition, and motivated to continue treatment, a discussion with another expert may be beneficial. At Docrates, physicians can now organize yet another opinion through the Cancer Expert Now network. “This is a very important additional service, which makes it possible for the Docrates to provide deep expertise in cancer care in all situations,” says Docrates Cancer Center Chief Medical Director Tom Wiklund. The experts in Cancer Expert Now network have passed a rigorous evaluation process conducted by the firm’s medical advisors. Criteria include physicians’ accomplishments and leadership within their very focused field, including their involvement in the development of national and international treatment guidelines; their participation in numerous research trials; publication of numerous articles in their field; and if they’ve held leadership positions in major medical societies, among others. Docrates Cancer Center is a Finnish-owned, international hospital in Helsinki specializing in cancer treatment. We provide services for cancer patients throughout the treatment chain, from diagnosis to treatment and post-treatment follow-up. After the diagnosis and imaging, treatment can be planned and initiated without delay. Our unique concept attracts patients from all over the world. 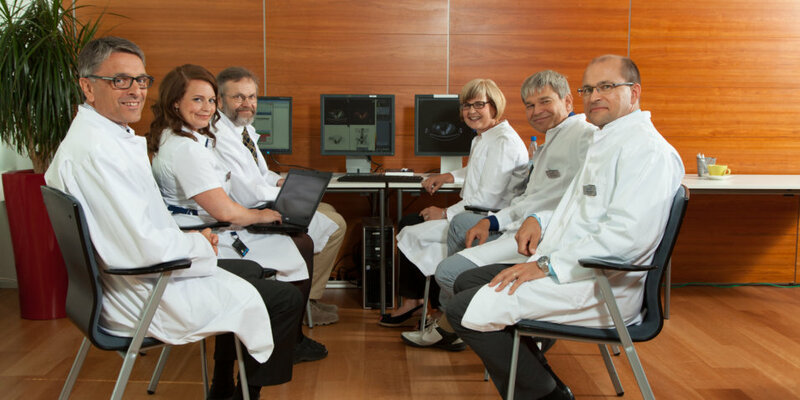 Together with our network of leading clinical experts, we provide state-of-the-art cancer therapies in line with our philosophy of individual and patient centered care. So far, we have treated patients from over 50 countries and provided treatment for nearly 30 different types of cancer. We are experiencing strong international growth. www.docrates.com. Cancer Expert Now was founded in 2015, and launched its service in 2016 as a global, online solution for rapid access the world’s top oncologists. As of Feb. 1, 2016, more than 70 top cancer doctors are in the Cancer Expert Now network. Cancer Expert Now also offers its service to corporations as a corporate benefit. Cancer Expert Now was co-founded by Jeff Meehan, who has been actively involved in cancer research, education, and healthcare IT for more than 25 years. He has started and sold numerous companies including Educational Concepts in Medicine LLC, Broadleaf Creative Group LLC, and Strategic Edge Communications, Inc. Most recently he was Chief Commercial Officer of MDOL, Inc. and was instrumental in positioning the company for acquisition by The Ability Network in 2014. Cancer Expert Now has an advisory board that includes seasoned and leading executives at some of the world’s top pharmaceutical, cancer advocacy, and healthcare information technology organizations. For more information about the Cancer Expert Now service, please call 844-438-4226, email dzavala@cancerexpertnow.com or visit www.cancerexpertnow.com.